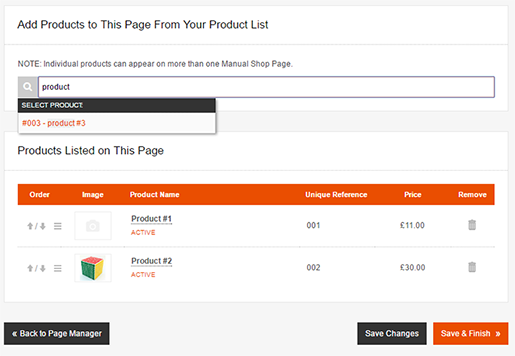 You can create a Manual Shop Page to display individually selected products from your product list. 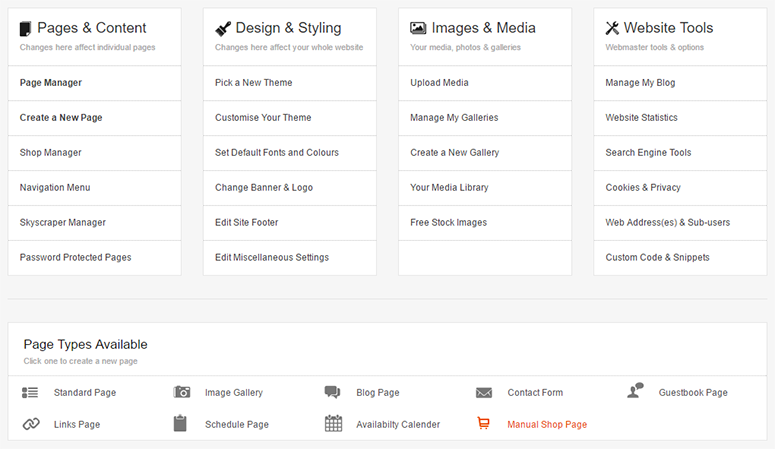 You can choose a selection of items – from all different categories, to be displayed on one page. Manual Shop Pages are a useful tool to draw extra attention to certain products, or for showing off promotions and offers. 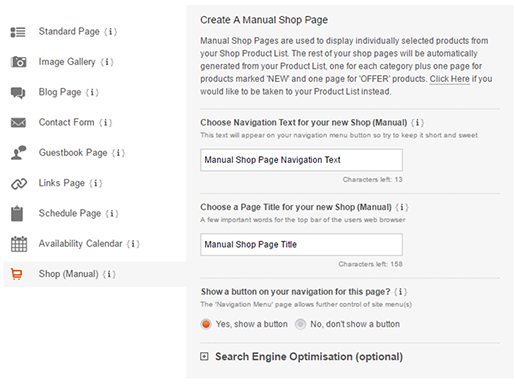 Step 1: From the Main Menu, click Manual Shop Page, under Page Types Available. 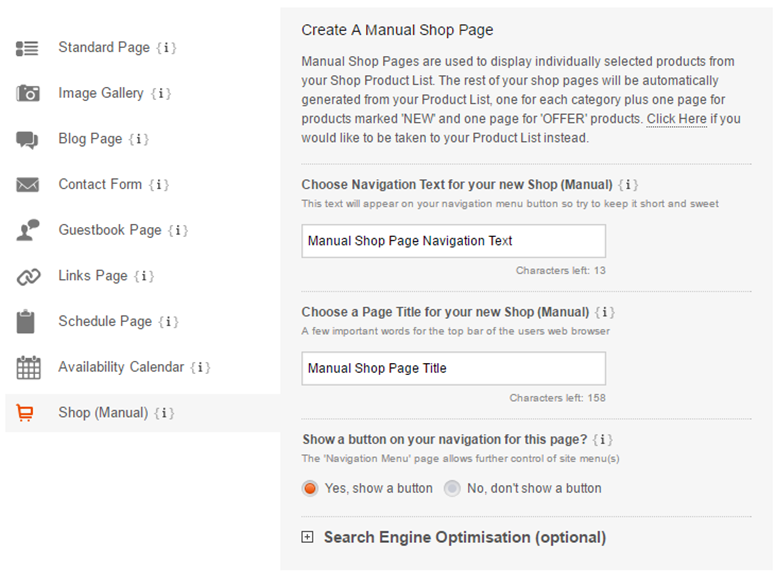 (This can also be reached in the Shop Manager, by selecting Create a New Shop Page under the Shop Pages section). Step 3: In the search bar, type the name of the product you would like to add – products that match this will be displayed in the Select Product drop-down; select the product and repeat the process to add more items. Step 4: Your selected products will appear below under Products Listed on This Page. You can change the order using the up and down arrows on the left, or remove products using the bin icon on the right. Step 5: Once you are happy with your list, press the Save & Finish button. Step 6: You will now be taken to the Page Manager. 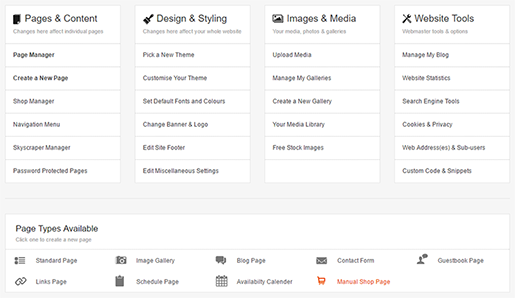 The Manual Pages will automatically come last in the page order – you can re-arrange the order by either using the up and down arrows on the left, or drag and drop into the desired place.